If you have been here before, you might be aware that I really love sewing with solids. And I'm also a huge fan of shot cottons, particularly those from Oakshott in the UK. Every other year, I make a king-sized quilt that is donated and auctioned off with proceeds going entirely to Third World relief efforts. Swooning with Oakshotts (with a name change to Amish Stars for the auction) was my donation this year. You can read more about it here. Have you ever made a Swoon block? Although by now I have made over 25 of them, I'm always surprised at how large it is--24 inches! It took a really large wall to get a decent picture! It's just so very hard to photograph the absolutely gorgeous Oakshott fabrics, but trust me--they are stunning. Thanks for stopping by! There are so many wonderful quilts to see--enjoy the rest of the show. That is just so beautiful! I'd love to see it in person, I bet those oakshotts shimmer beautifully! Oh my! Stunning! And I love the triangle borders. I've never made a Swoon block but i love your quilt. I'm a fan of the Oakshot cottons too, but i've heard that they fray a lot. Any trouble with that? This quilt is so gorgeous because of the fabrics you used and those awesome blocks! It was fun to watch the auction on IG as it happened through your eyes. I have seen lots of Swoons, and I look closely at them all mainly because I live the pattern. I haven't made one because it is so large. I must say, though, this is one of my favorites. The solids are wonderful. I love seeing your gorgeous quilt again, Cindy. lovely! thanks for showing us again! Wow!! That is such a beautiful quilt. The colours look as though they are glowing, The size is impressive too!! Fabulous quilt Cindy, delighted to get the chance to see it again! Gosh that's a beast! It's so nice seeing a swoon quilt without a white background, it looks totally different. WOW! - that is fantastic. I've heard a lot about Oakshot cottons but never tried them before, yours looks absolutely beautiful. I tell you what...this one NEVER gets old!! Swoon indeed! You did the name of the quilt and the Oakshotts so much justice! It‘s gorgeous in any way! Seriously beautiful! What a masterpiece!! Wonderful and for such a good cause! 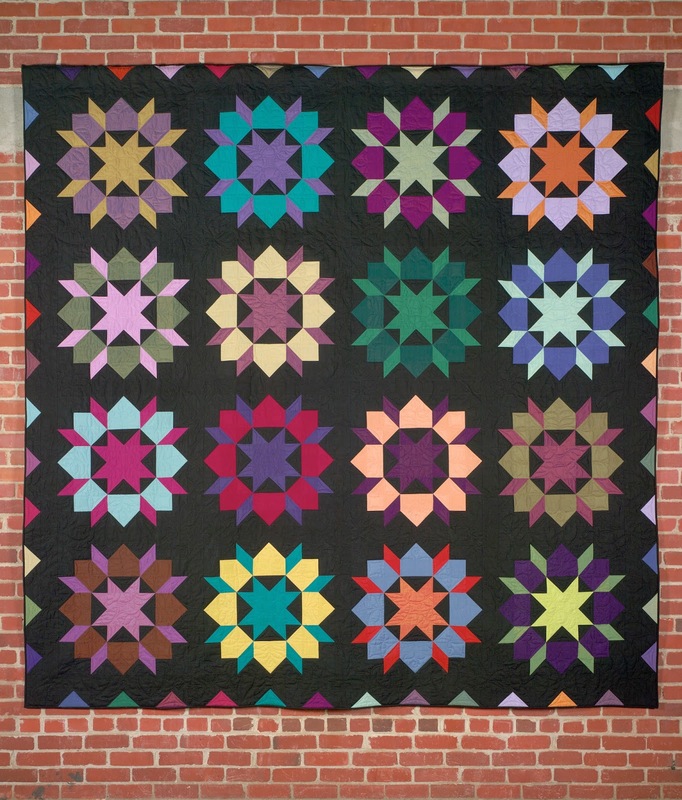 A Swoon quilt is still on my "To Do" list, inching up everytime I see another beautfiul interpretation of it. So beautiful. I don't believe I'll ever make a quilt that size.